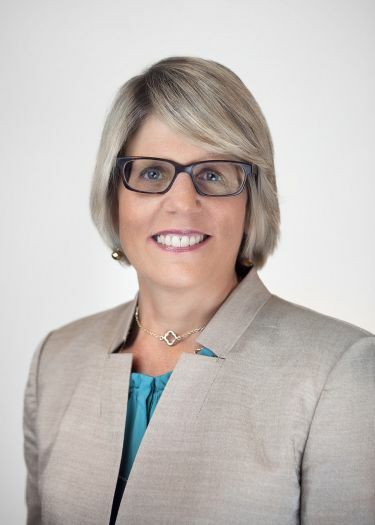 STAMFORD, CT - SilverSource, Inc. is pleased to announce Karen M. Kelly , Senior Vice President and Chief Marketing Officer for First County Bank and Vice President of the First County Bank Foundation, has been elected chair of the SilverSource Board of Directors. Kelly has been a member of the SilverSource board since 2011, and has served on both the Development and Governance Committees. Kelly brings over 25 years of experience in financial services marketing as well as experience developing strategic positioning. Prior to her work at the bank, Kelly served as Vice President, Marketing for the investment bank, Rodman & Renshaw. Kelly held other leadership roles at Sovereign Bank/Independence Community Bank in New York City. In her new board role, she replaces Donald J. Case, D.M.D., who has led the board since 2013. Dr. Case will continue to serve on the Board of Directors’ Advisory Council. Earlier this year the organization underwent a rebranding as part of a strategic plan. Formerly named Senior Services of Stamford, the name change reflects the organization’s mission to meet the needs of older adults from all walks of life in a spirit of personal caring and concern and to provide important resources on aging issues. Kelly also serves as a member of the Executive Committee and chairperson of the Strategic Development and Marketing Committee of the Stamford Museum & Nature Center. She holds a bachelor’s degree in political science from New York University and lives in Norwalk. SilverSource, formerly known as Senior Services of Stamford, was founded in 1908. It is an independent, nonprofit organization that provides information, financial support, and other services that positively improve the quality of life for people over age 60 while serving as a resource center and referral source on senior-related issues and programs. SilverSource, Inc., a 501(c) 3, is located at 2009 Summer Street in Stamford, CT 06905. For more information visit www.silversource.org or call 203.324.6584.